This year's 2018 Jeffrey Fashion Cares was an absolute success as has been throughout the years! Founder, Jeffrey Kalinsky and patrons of this phenomenal event, celebrated 26 years of Jeffrey Fashion Cares Atlanta on Monday, August 27th, 2018 at Phipps Plaza. 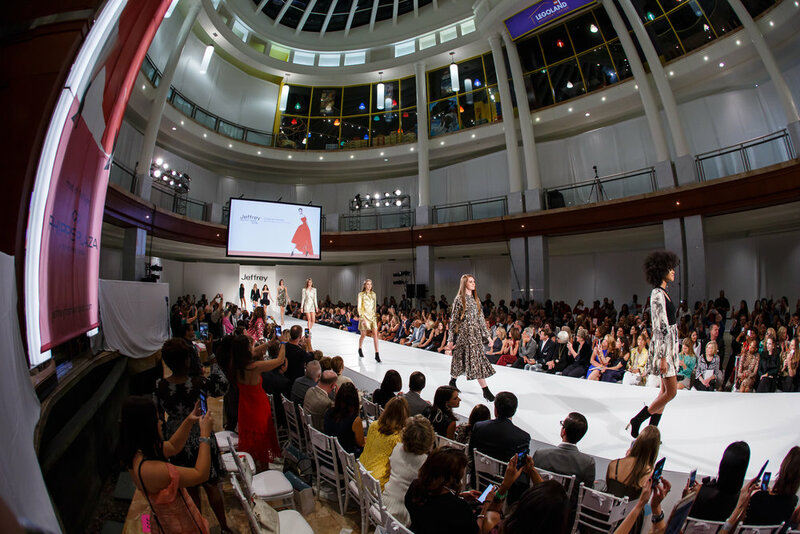 Jeffrey Fashion Cares is a sold-out fashion show that benefits Susan G. Komen Greater Atlanta, the AIDS Fund (AAF) and the Medical University of South Carolina. The runway Monday night showcased Neon looks, Sparkling pieces, Oversize, Plaids and creative blends of Sports looks. As custom, guests and supporters flooded out the elegantly decorated corridors of Phipps Plaza dressed to impress! Prior to the show, we were graced with a wonderful reception and silent auction followed by a live auction and the high-energy, highly anticipated runway show. This was an event for the history books! For more information, please visit www.jeffreyfashioncares.com.